*	Set on private land in the stunning Mendip hills. *	12 observed sections with trials style points. *	A relaxed fun event for newbies and experienced riders. 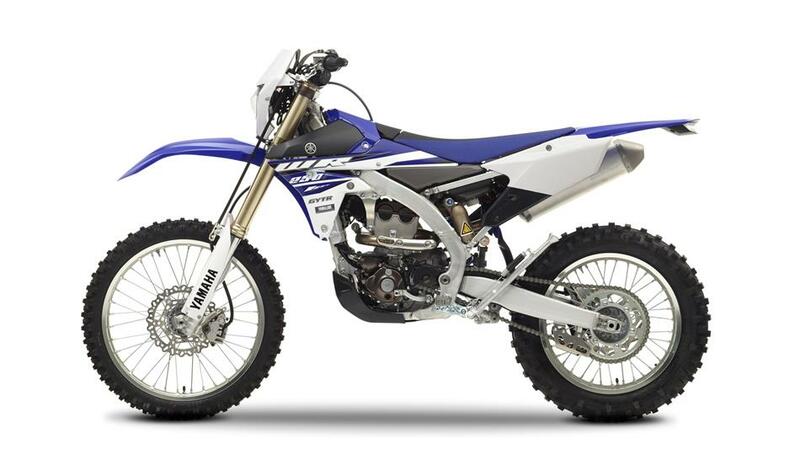 *	No tyre restriction-Enduro & Trials bikes welcome. Last edited by ExR1 on Thu Mar 03, 2016 5:58 pm, edited 1 time in total. Quick up date for the muddle. We can now offer TRF members an opportunity to invite there none member friends to enter this fun event. But please remember they must be accompanied by a TRF member. Guys get you entry’s in as time is ticking. Our entires are in, really looking forward to it. At least 3 from Surrey have signed up. Looking forward to meeting the Bristol team! Well done guys see you there and thanks for your support. 12 is kick off so aim to get there for 10ish. 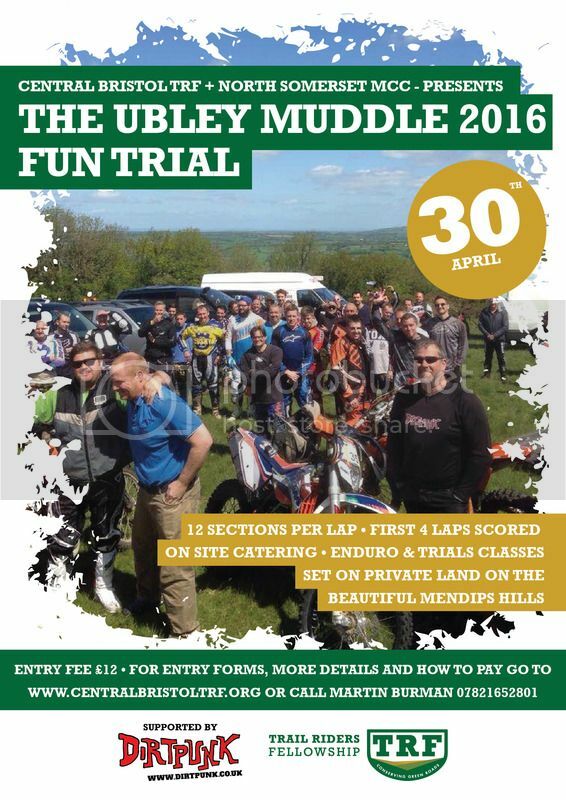 Final instructions for the TRF Fun Trial (AKA Ubley Muddle) to be held this coming Saturday 30th April. Ruth will be at the signing in van (FV03 OBC Silver Mercedes Van) between 10.00 and 10.30. Please quote your number from the list attached as this will save a lot of time by you not having to wait in a queue with all those who are entering on the day. Hope to see you all on the day. If you've not already registered don't worry we won't turn you away.